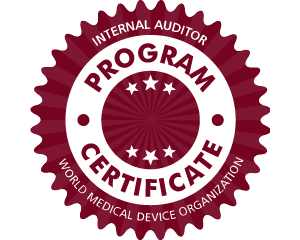 This program covers the basic and advanced auditing principles for medical device manufacturers and related services. The courses in this program outline the basics of quality assurance and risk management while providing crucial information on how to qualify suppliers. The internal auditing part of this program examines global regulations and requirements, a step-by-step auditing process, auditing techniques, CAPA, soft skills, and other tools. Note: This program only offers an online certificate, but can be combined with live workshops to develop further practical skills. Please refer to the Internal Auditor program for a live exam.